Malaria is a serious and sometimes lethal disease caused by a parasite. The parasite infects certain mosquitos, which can later transmit the disease to humans while feeding on them. The disease is much more common in South Asia and Africa. About 1,500–2,000 cases of malaria are reported every year in America, and almost all are in people who have recently traveled. The disease now occurs in more than 90 countries worldwide, and it is estimated that there are over 500 million clinical cases and 2.7 million malaria-caused deaths per year. Symptoms of malaria include fever, chills, nausea and sweating. Although clinically indistinguishable from many other diseases, malaria is a curable disease if the patient has access to an early diagnosis and treatment. A malaria rapid diagnostic test (RDT) can aid in the diagnosis of malaria by identifying a presence of malaria antigens in the human blood. It can detect Plasmodium falciparum or one of the other three species of human malaria, providing results in 15-20 minutes. Due to the variation in parasite species, different RDTs may be appropriate in different settings. All positive RDTs should be followed by microscopy. For more information about Malaria Rapid Tests click here or please contact our Customer Service Representatives at 818-591-3030. Customers around the world ask about Malaria tests and the most efficient treatment of malaria. The numerous questions about malaria are necessary in order to clarify which kind of Malaria test would best suit an organization or any city that is dealing with massive numbers of malaria infections and requests for the best quality malaria test kits on the market. Malaria Rapid Tests are some of the most inexpensive and highly effective Malaria diagnostic tests available on the market today. The malaria parasite invades countries, cities, and towns across the globe. Treatment of malaria is important in considering the appropriate malaria test to guarantee control of the malaria parasite. Malaria Antigen tests, or Malaria Rapid tests like those offered by Los Angeles-based Diagnostic Automation/Cortez Diagnostics, Inc., are some of the most effective and easy-to-use malaria rapid testing devices on the market today. 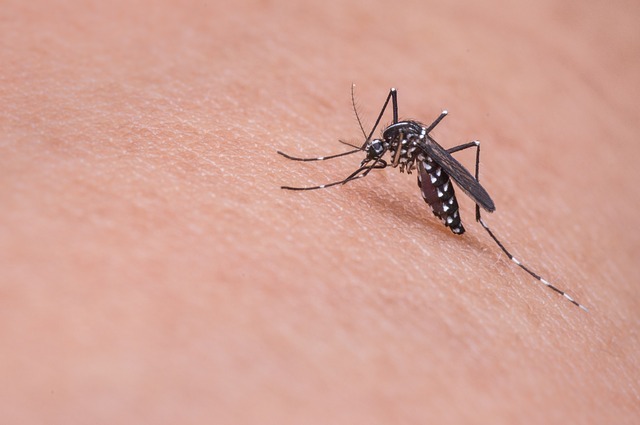 As a major distributor and supplier of medical testing equipment, Diagnostic Automation/Cortez Diagnostics, Inc. offers two convenient, reliable, and inexpensive Malaria Rapid Tests: One Malaria Rapid Test is for Pan-LDH antigens. This Malaria Rapid Test can detect all four species of malaria Plasmodium falciparum, Plasmodium vivax, Plasmodium oval, and Plasmodium malaria. This Malaria Rapid Test is for the qualitative detection of one or more of the known Malaria species: P. falciparum, p. vivax, P. oval, and/or P. malaria by detecting lactate dehydrogenase (LDH) in human blood. This Malaria Rapid Test is for in vitro diagnostic use only. The second easy-to-use Malaria Rapid Test(P.f/vivax) is for detection of pf and pv antigens only. This particular Malaria Rapid Test(P.f/vivax) is a rapid, qualitative test for the detection of Plasmodium falciparum and/or Plasmodium vivax in whole blood. This simple Malaria Rapid Test(P.f/vivax) is also for in-vitro diagnostic use. WHAT ARE THE ADVANTAGES OF TREATING MALARIA WITH A MALARIA RAPID TEST? Malaria is a serious, sometimes fatal infection of red blood cells caused by the bite of a carrier mosquito. Prompt and accurate diagnosis like that obtained using a Malaria Rapid Test, followed by effective malaria treatment, is currently the main malaria diagnostic test control strategy. Early diagnosis of the malaria parasite infection, like that offered through a malaria rapid test, and prompt, effective treatment of malaria is critical to prevent severe disease, death and malaria transmission. Malaria Rapid tests play an important role in many countries who have health clinics that need to perform on-site tests in various field conditions, and Malaria Rapid Tests are often used by community health workers in areas where malaria microscopy is not always immediately available. In addition, an ever-increasing number of travelers each year who visit various tropical countries return with malaria parasite infections. The Malaria Rapid Test Kits are regarded as accurate malaria diagnostic tests to detect any species of the malaria parasite for this population as well. Diagnostic Automation/Cortez Diagnostics, Inc. distributes these user-friendly Malaria Rapid Tests throughout the world. Our Malaria Rapid Tests are simple, and the procedures to perform both malaria rapid tests can be done easily and results obtained quickly. The treatment of malaria presents a diagnostic challenge to many infected areas throughout the world. In these areas, rapid detection of the malaria parasite, as that offered in a Malaria Rapid Test, and early treatment of malaria infection remain the most important goals in the successfully treatment of malaria. Countries with large population segments susceptible to malaria infection, have greater choice for quality malaria rapid tests like those offered by our company. Malaria Rapid Tests are more suited to health workers in situations where health services are deficient or absent. These Malaria Rapid Tests have been assessed as safe and effective as malaria test diagnostic tools for community health workers, making these Malaria Rapid Tests extremely useful, especially in rural areas. Previous studies have confirmed the high sensitivity and specificity of these Malaria Rapid Tests under field conditions. Therefore, the Malaria Rapid Test can be used as a valuable tool as a rapid diagnostic test of malaria. Diagnostic Automation/Cortez Diagnostics is pleased to offer these two Malaria Rapid Test formats — the Malaria Rapid Test for Pan-LDH antigens and a Malaria Rapid Test for pf and pv antigens. For more information regarding these Malaria Rapid Tests, please contact our Customer Service Department. These Malaria Rapid Tests are available in cassette format only. Diagnostic Automation/Cortez Diagnostics, Inc. is a USA based company manufacturing and distributing Rapid Tests (HIV Rapid Test, Drug Tests or Drugs of Abuse Rapid Tests, Cardiac Rapid Tests, Allergy Rapid Tests, Cancer Rapid Tests, Pregnancy Rapid Tests, Urine Reagent Strips, etc. ), ELISA Test Kits (Autoimmune diseases ELISA Kit, Cardiac Markers, Allergy ELISA kits, HIV ELISA kits, etc. ),IFA Kits (Autoimmune diseases IFA Kits, Autoimmune Disease Kits, Bacterial Disease IFA Kits, etc. ), Chemilluminescence immuno assays (Infectious Disease kits, Fertility Assays/CLIA kits, Diabetes Assays/CLIA kits, Cardio-Vascular/CIA kits, Tumor Marker Assays kits, etc. ), and ELISA readers – ELISA washers and Serology test kits. Please contact our Customer Service Department for information about any of these Rapid Tests, ELISA Test Kits, CIA Kits, IFA Kits, or any other drug testing products of interest. Los Angeles based Diagnostic Automation/Cortez Diagnostics, Inc. offers two convenient, reliable, and inexpensive Malaria Rapid Tests: One Malaria Rapid Test is for Pan-LDH antigens. This Malaria Rapid Test can detect all four species of malaria Plasmodium falciparum, Plasmodium vivax, Plasmodium oval, and Plasmodium malaria. This Malaria Rapid Test is for the qualitative detection of one or more of the known Malaria species: P. falciparum, p. vivax, P. oval, and/or P. malaria by detecting lactate dehydrogenase (LDH) in human blood. This Malaria Rapid Test is for in vitro diagnostic use only. The second easy-to-use Malaria Rapid Test is for detection of pf and pv antigens only. This particular Malaria Rapid Test is a rapid, qualitative test for the detection of Plasmodium falciparum and/or Plasmodium vivax in whole blood. This Malaria Rapid Test is also for in-vitro diagnostic use. WHY HAVE A MALARIA RAPID TEST? Malaria is a serious, sometimes fatal infection of red blood cells caused by the bite of a carrier mosquito. Symptoms include high fever with shaking chills, heavy sweating, fatigue, headache, abdominal pain and nausea and vomiting. Malaria now occurs in more than 90 countries worldwide, and it is estimated that there are over 500 million clinical cases and 2.7 million malaria-caused deaths per year. Prompt and accurate diagnosis like that obtained using a Malaria Rapid Test, followed by effective treatment, is currently the main malaria control strategy. Early diagnosis like that offered through the malaria rapid test, and prompt, effective treatment of uncomplicated malaria is critical to prevent severe disease, death and malaria transmission. Malaria Rapid tests play an important role in many countries who have health clinics that need to perform on-site tests in various field conditions, and Malaria Rapid Tests are often used by community health workers in areas where malaria microscopy is not always immediately available. Clinicians should be aware that certain hospitals and laboratories may offer a malaria rapid test, which can aid in the rapid diagnosis of malaria and result in prompt therapeutic intervention. Since early diagnosis is essential, strategies to improve access to treatment at the community level have been endorsed by WHO. The World Health Organization’s evaluation of malaria rapid tests showed substantial improvement in test performance on nearly all of the malaria rapid tests evaluated. In addition, an ever-increasing number of travelers each year who visit various tropical countries return with malaria infections. The malaria rapid tests are regarded as accurate tests to detect any species of malaria infection for this population too. Diagnostic Automation/Cortez Diagnostics, Inc. distributes these user-friendly malaria rapid tests throughout the world. Because malaria is a curable disease, provided the patients get an early diagnosis and prompt treatment, our malaria rapid tests are simple and the procedures to perform both malaria rapid tests can be done easily and results obtained quickly. Malaria presents a diagnostic challenge to many infected areas throughout the world. In these areas, rapid detection of the malaria parasites, as that offered in a malaria rapid test, and early treatment of infection remain the most important goals of disease management. Countries with large population segments susceptible to malaria infection, have greater choice for quality malaria rapid tests like those offered by our company. Malaria rapid tests are more suited to health workers in situations where health services are deficient or absent. These malaria rapid tests have been assessed as safe and effective as diagnostic tools for community health workers, making these malaria rapid tests extremely useful, especially in rural areas. Previous studies have confirmed their high sensitivity and specificity under field conditions. Therefore, the malaria rapid test can be used as a valuable tool for the rapid screening of malaria. Diagnostic Automation/Cortez Diagnostics is pleased to offer these two formats of the Malaria Rapid Test — the Malaria Rapid Test for Pan-LDH antigens and a Malaria Rapid Test for pf and pv antigens. For more information regarding these Malaria Rapid Tests, please contact our Customer Service Department. These Malaria Rapid Tests are available in cassette format only. Diagnostic Automation/Cortez Diagnostics, Inc. is a USA based company manufacturing and distributing Rapid Tests (HIV Rapid Test, Drug Tests or Drugs of Abuse Rapid Tests, Cardiac Rapid Tests, Allergy Rapid Tests, Cancer Rapid Tests, Pregnancy Rapid Tests, Urine Reagent Strips, etc. ), ELISA Test Kits (Autoimmune diseases ELISA Kit, Cardiac Markers, Allergy ELISA kits, HIV ELISA kits, etc. ), IFA Kits (Autoimmune diseases IFA Kits, Autoimmune Disease Kits, Bacterial Disease IFA Kits, etc. ), Chemilluminescence immuno assays (Infectious Disease kits, Fertility Assays/CLIA kits, Diabetes Assays/CLIA kits, Cardio-Vascular/CLIA kits, Tumor Marker Assays kits, etc. ), and ELISA readers – ELISA washers and Serology test kits. Please contact our Customer Service Department for information about any of these Rapid Tests, ELISA Test Kits, CLIA Kits, IFA Kits, or any other drug testing products of interest.